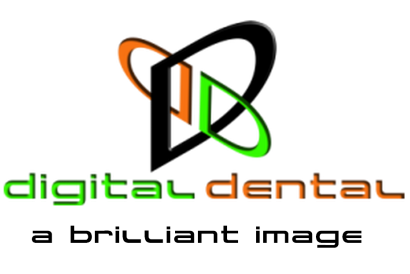 your dental x ray and digital imaging systems. Digital dentistry is our specialty, so we use our expertise with the very latest x ray test and calibration equipment to deliver a premium service. Digital records and results, so there's no paperwork. Timely reminders so you'll never be out of date with the required testing and servicing. No postal test packs to expose then return. No confusing and long winded forms to fill out. No online surveys or questionnaires to complete. No membership scheme to join to get the best price. Instant results enables us to give immediate advise. Free advice on how to improve image quality. Results are digitally stored by us if you ever need copies. Instant results and superb service. There is often confusion between radiation testing and servicing. We like to equate the Radiation Testing to a vehicle M.O.T. It is also a legal requirement to ensure your x ray equipment is tested to ensure it is safe, operates correctly and the environment where it is used is suitable. An M.O.T and vehicle servicing are separate jobs. Radiation testing and servicing your x ray equipment are also two separate tasks. ​When does it need doing? ​or ​when your x ray generator is relocated or has had a replacement timer or tubehead. 3D Cone Beam CT and Hand Held x ray units Need to be tested annually. ​ i.e. all shielding, collimation and lamps. Carry out an Environmental Risk Assessment of the area where the x ray equipment then provided you with a report and a diagram of the room. The diagram would show the controlled area, main beam direction, operator position, isolator location and other requirements. The report would provide recommendations and any actions required. ​The comprehensive testing of 3D Cone Beam CT machines require specialist test equipment. The testing and evaluation of the results will take at least 4 hours. Hand held x ray units require the same tests as wall mount x rays with additional leakage/safety tests. CQC Outcome 11: Safety, availability and suitability of equipment. “33.—(1) Every employer who has to any extent control of any equipment or apparatus which is used in connection with a medical exposure must, having regard to the extent of its control over the equipment, ensure that such equipment is of such design or construction and is so installed and maintained as to be capable of restricting so far as is reasonably practicable the exposure to ionising radiation of any person who is undergoing a medical exposure to the extent that this is compatible with the intended clinical purpose or research objective. Although this document PM77 is not strictly legally binding, it could be used by the HSE to pursue a prosecution where failure to follow its guidance has led to an incident or injury involving ionising radiation. There is a legal responsibility for employers & employees to comply with these regulations & as practically possible adopt a duty of care to ensure that no danger results from using electrical equipment.